* Lease a 2018 Honda Accord LX for $219 per month for 36 months. $1,339 down payment. Offer expires 3/31/2019. ** 1.9% APR for 24-36 months or 2.9% APR for 37-60 months. The 2018 Honda Accord is an all-time favorite mid-size car. The redesigned hybrid car comes in six models of Sport, Touring, LX, EX, EX-L, and EX-L Navi. Interestingly, Honda is still placing its bet on a manual transmission. The mid-size sedan has the option of a six-speed stick shift in its Sports model. 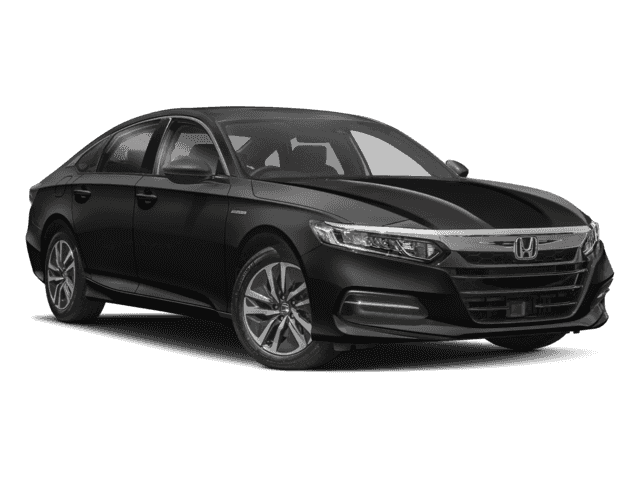 The first you’ll notice about the new Honda Accord is its uber fashionable exterior. The car now has a fastback-like roofline and a pronounced crease below the beltline for a more athletic look. It also looks longer due to a wheelbase that is greater by 2.1 inch. Considering that the car has been in the market since the 1980s, this is the most elegant design Honda has come up with so far. The car’s trunk is 17 cubic foot in size, which is one cube larger than the 2017 model. In fact, it boasts of the biggest trunk in its segment. This not only offers better cargo space but also provides tall people with plenty of leg room. The new Accord’s seats are made of urethane foam that offers varying but accurate firmness. The seats are softer where needed—like in the thigh-support area— and firmer with higher rebound in others- like on the bolsters. The newly redesigned front seats get a new padding material to offer more firmness and comfort, while the higher seatback provides enhanced support. The optional 12-way power adjustable driver’s seat provides offers four-way-adjustable back support. The inside cabin of the car has turned minimalistic and sophisticated with a high-resolution digital display that features phone navigation, audio information, and trip computer. Its infotainment system is a touchscreen interface with a 7-inch screen and redesigned software. However, the 2018 model sees the return of physical volume and tuning knobs. The storage space inside the car features a deep center console and sizeable cup holders. The engine of the 2018 Honda Accord comprises two turbocharged four-cylinders with an upgrade option of 1.5 liters. Notably, the high-performance option of V-6 is being replaced by a turbocharged 2-liter engine. The 1.5-liter engine provides a horsepower of 192 and a torque of 192 lb-ft, while the 2-liter engine provides a horsepower of 252 and a torque of 273 lb-ft. The car’s turbo is refined, smooth, and strong with linear power delivery. The flexible engine becomes even more polished when paired with the 10-speed automatic transmission that is available in all the models. The standard features of the car include dual-zone automatic climate control, a backup camera, LED headlights and taillights, sunroof, heated front seats, leather upholstery, and rain-sensing wipers. Please keep in mind that these features are subject to the model you pick. The standard Honda Sensing suite includes advanced safety features like a forward-collision warning, lane-keeping assist, adaptive cruise control, automatic emergency braking, and auto high beams. 2018 Accord models with manual transmission also have automatic emergency braking, which usually doesn’t come with most other manual transmission models. At this moment, blind-spot warning and rear cross-traffic alert are not part of the standard Suite, though they can be added separately. Other major safety features include adaptive cruise control, lane-keeping assist, blind-spot monitoring, and forward collision warning. Another significant feature is the addition of sound insulation and acoustic glass for a smoother and quieter ride. The 2018 Accord comes with sound-absorbing wheels achieved by Continental’s ContiSilent tire technology. This involves the application of an acoustic absorbing material on the inside of the tire tread that absorbs all sound and noise and makes a ride quieter. Even after changing tires, the quality of this feature remains intact because of Honda’s proprietary plastic resin material that is applied to the center of the wheel rim for noise absorption. 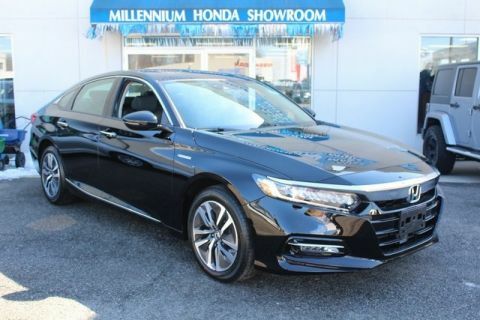 Visit Millennium Honda for a great deal on a new 2018 Honda Accord. 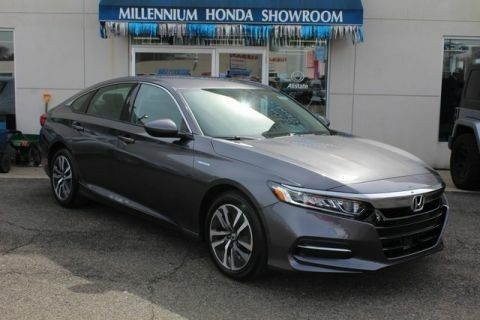 Our sales team is ready to show you all of the features that you will find in the Honda Accord and take you for a test drive in the Hempstead area. 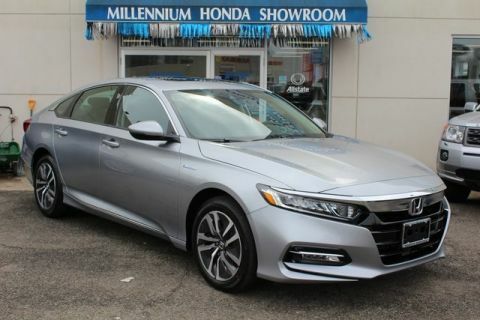 At our New York Honda dealership you will find competitive prices, a stocked inventory of 2018 Honda Accord cars and a helpful sales team. Stop by our car dealership today and take a 2018 Honda for a spin. Fuel tank capacity : 17.2gal. 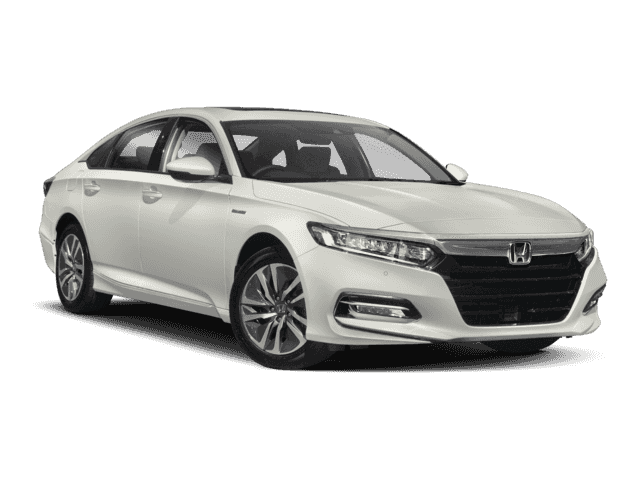 * Lease a 2018 Honda Accord Sedan LX, 36 month lease, $1,339 down payment. Offer expires 3/31/2019. Special APR offer valid on new and unregistered 2018 Accord Sedan Models from March 1, 2019 through April 1, 2019, to well qualified buyers on approved credit by Honda Financial Services through participating dealers. Must take new retail delivery on vehicle from dealer stock by April 1, 2019. Not all buyers will qualify. Higher rates apply for buyers with lower credit ratings. No-down-payment financing may be available for well-qualified buyers. Actual down payment may vary. Example for 2018 Accord : 1.9% for 60 months financing at $17.48 a month for every $1,000.00 financed. Dealers set actual prices. See your Honda dealer for details.